RING - SARAH COVENTRY. "FIRST LADY" FROM 1960. 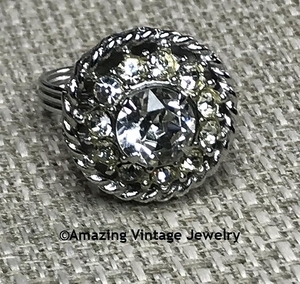 SILVERTONE WITH A LARGE CLEAR RHINESTONE CENTER, SURROUNDED BY SMALLER CLEAR RHIENSTONES. RING TOP IS ABOUT 3/4" IN DIAMETER. ADJUSTABLE. MARKED "SAC". 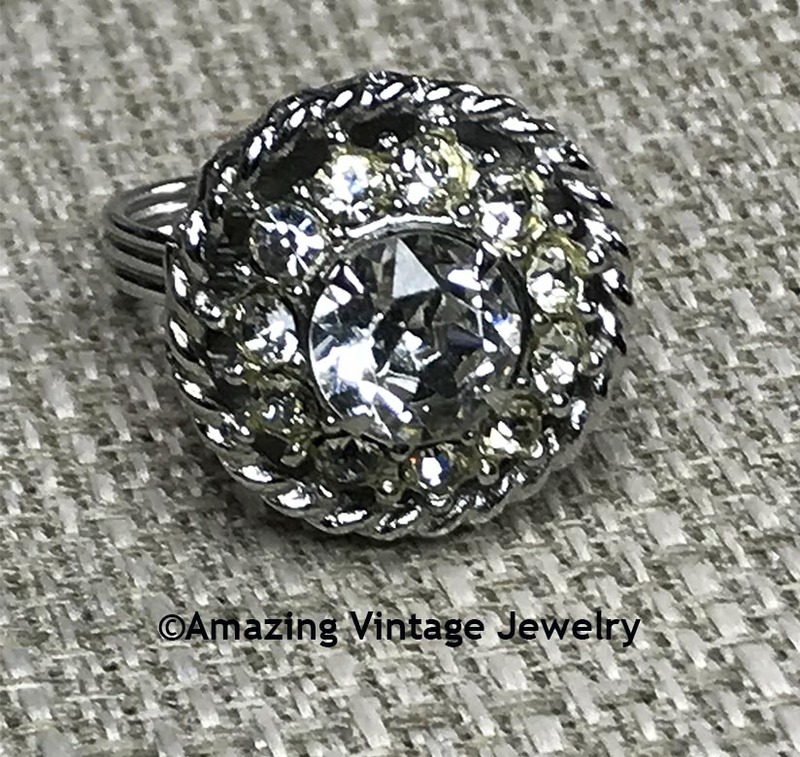 RHINESTONES ARE SLIGHTLY YELLOWED AS SHOWN IN THE PHOTO.